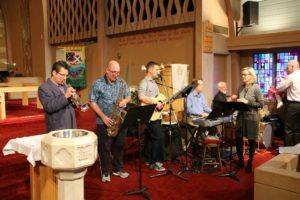 Music at St. Andrew’s is a vibrant, joyous, creative and spiritual ministry available to all who wish to be part of a musical community. We are blessed to have an exceptionally strong and diverse staff of musicians and music educators that uplift and enhance our quality of worship. We believe that music is an integral part of our worship experience enriching liturgy and prayer. Opportunities for musical expression are available through our Sr. Choir, our Handbell Choir and our youth music programs. We welcome and invite you to join us! 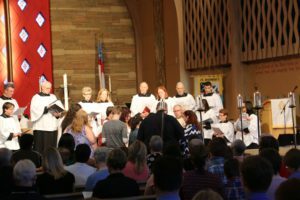 St. Andrew’s Contemporary service is an informal and uplifting Rite II communion service with a range of songs from adapted traditional hymns to Christian contemporary radio. A band comprised of Omaha’s top professional musicians, and led by Susie Thorne our Director of Music, accompanies this service. No prayer book or hymnal is needed as the service is printed in your bulletin. You’re welcome to join in singing or silently worship. Although this service is informal in dress and style, it is reverent in content and devotion. We are a welcoming community of love and fellowship and look forward to worshiping with you. This is a friendly and joy filled family service welcoming both children and adults. St. Andrew’s Band: Dan Cerveny, keyboard; Darren Pettit – tenor saxophone; Tom Phillips – guitar/vocals and Joey Gulizia – drums/percussion. Alternates: Greg Ahl – drums, and Michael “Gooch” Gurciullo – trumpet. Our Children’s Music Program is part and parcel of our contemporary service. We open our worship service each week with a song from our St. Andrew’s youth stating our belief, “God Welcomes Everyone”. 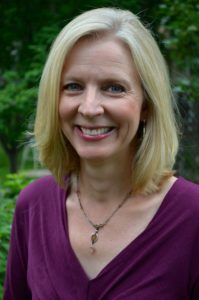 Shelly Smith, an elementary music teacher with the Millard Public School system is our Children’s Music Director. Shelly has a very special way of engaging and inspiring our young musicians! Children in grades K-5 meet in the undercroft from10:00 – 10:15 a.m. for singing, playing instruments and different musical activities. 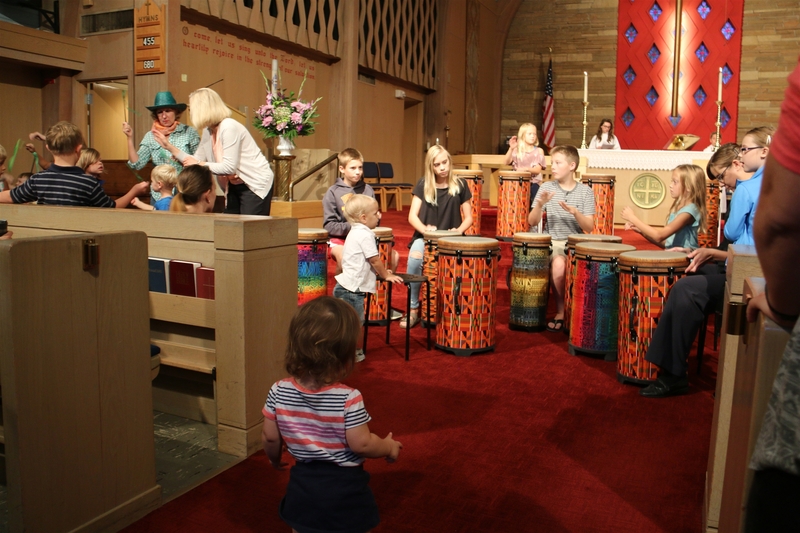 Our children’s program also features instruction on conga and hand drums, as well Orff Xylophones and Glockenspiels, allowing our youth to be their own accompanists for their music presentations. Children in Preschool have a short music activity during their Sunday school class and from time to time provide a Sunday morning musical offering. Musical offerings and readings during the service featuring Lessons and Carols. Youth Sunday: Children are in charge of all aspects of the service including ushering, lay reading and performing the service music. The St. Andrews Adult Choir is a dedicated intergenerational choir that welcomes high school singers and adults of all ages. We believe in and try to live out the notion of choral community. Through song, prayer, and fellowship we seek to offer hope, healing and love for one another, our church family and our community. We are humbled by the opportunity we have to create beauty and to share it with those around us. The choir rehearses from 7:00-8:30 each Thursday night and 9:00-10:15 each Sunday morning during the program year. We sing at the 10:30 Traditional Worship service from the Sunday after Labor Day through Pentecost Sunday. In the fall, in addition to Sunday mornings we take a weekend retreat together, sing an annual Service of Lessons and Carols in December, and sing at the late service on Christmas Eve. In the spring we sing a joint Evensong Service with the combined choirs of Trinity Cathedral and All Saints Episcopal Church. We also sing for Ash Wednesday and the evening Holy Week Services. There are choir parties in the fall and spring, Christmas caroling in December, and an annual outing to a Stormchasers game in the summer. We are a very social group who care deeply for one another and for our mission in the church. All are welcome to join us in this mission without respect to skill level. Give us a chance and we will teach you about singing over time. Michael Bauer is organist-choirmaster at St. Andrews. He is now in his seventh year serving this parish and he is thrilled to be here. When he is not at St. Andrews he works as a professor of organ and church music at the University of Kansas in Lawrence, KS. Church music is a calling for both Michael and his wife Marie, who is the Director of Music for Saint Cecilia (Catholic) Cathedral and the Archdiocese of Omaha. He is thankful that since the advent of conference re-alignment he no longer has to choose between rooting for his Jayhawks and Nebraska. Our Handbell Choir is an extension of our musical offering at our 10:30 AM Traditional Worship Service. This choir meets Wednesday evenings from 6:30 – 7:30 each week from mid September to mid May. We seek to offer a musical compliment to our worship with anthems, descants and solo offerings throughout the general season, as well as other special seasonal and holiday services. We feature a three-octave handbell chorus and welcome all who are looking for a fun musical outlet. If you can count, you can play. We will teach you! Benji Pettiford is in his second year as our Handbell Choir Director. 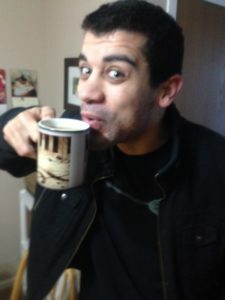 Benji is a graduate of Hastings College with a Bachelor’s of Music in Piano Performance and a performing member of the Hastings College Handbell Choir. 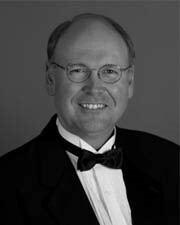 He is currently the piano accompanist for the Papillion-LaVista High School choirs.